Autumn is now on us, but it is one of the most beautiful times of the year. The fresh greens of spring, which gave way to the brashness of colour in summer and the purple haze of the heather, are now yielding to the steady mellowing of autumn. The trees are changing to an array of golds, rich ambers and reds. The air is filled with the damp mushroom scent of autumn and the spiders' webs glisten with the early morning dew. The blackberries, rich and juicy, abound in the hedgerows, some destined for the bramble jelly that Jan makes to go with the breakfasts we serve. It's a wonderful time to visit this area, to walk its many footpaths - now less well-trodden than in summer - and to enjoy the beauty of this part of the North Yorkshire coast. 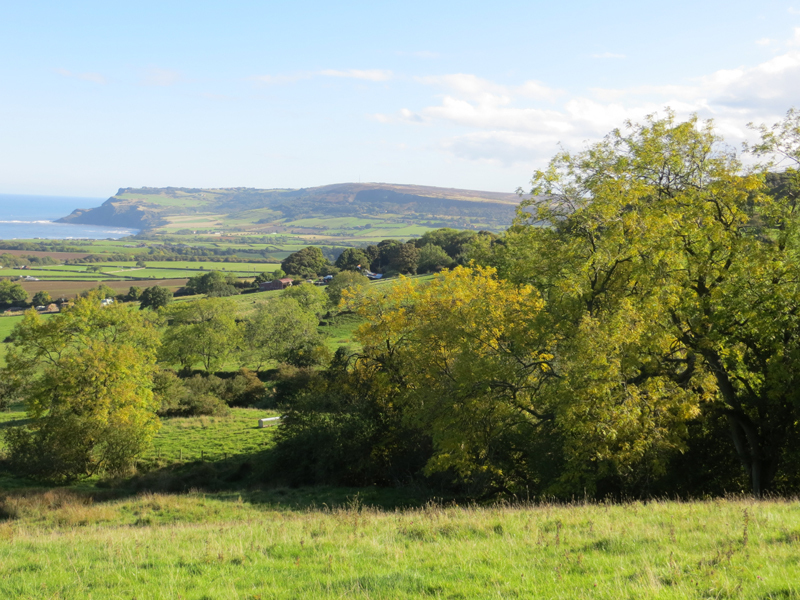 Why not take a short break near Robin Hood's Bay and enjoy it with us at Skerry Hall Farm?